A stunning Christmas bauble with an angelic extra. 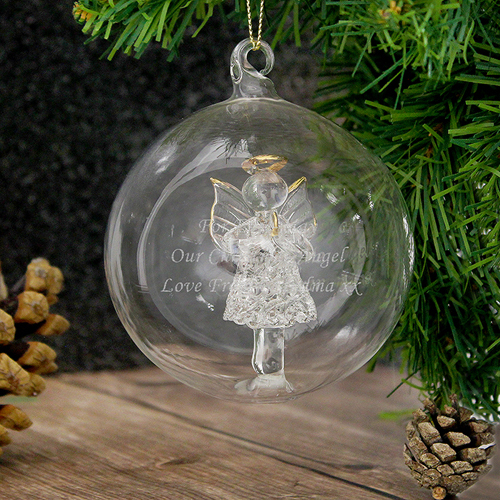 A beautiful glass bauble with a glass angel inside, carefully engraved with any message of your choice up to 60 characters over 3 lines max 20 characters on each line. Please enter the personalisation how you would like it to appear on the bauble. These are handmade so there may be some slight imperfections. Engrave with any message of your choice up to 60 characters over 3 lines max 20 characters on each line.